The satisfaction of making a perfectly designed and crafted pocket or hunting knife that is finished to heirloom quality, performs flawlessly at home or in the field has become the creed of an exciting new cutlery company — Canal Street Cutlery Co.After searching for an appropriate manufacturing facility CSCC decided to make 30 Canal Street in Ellenville, NY its new home. Ellenville, nestled in the foothills of the beautiful Catskill Mountains in upstate New York has a long and rich tradition of quality knife making dating back to the 19th century so it was only fitting that this new Company committed to those same traditions return to the roots which brought this American craft to the forefront. Now in their second year of operation, CSCC has a wealth of knife making experience and technical knowledge. Principals, Wally Gardiner and Joe Hufnagel are joined by Nine Master Cutlers who combine for over 300 years of knife making experience. By using the finest materials available combined with the skill of years of experience, Canal Street Cutlery is committed to fulfill our promise to our customers of providing the finest US manufactured product available today. 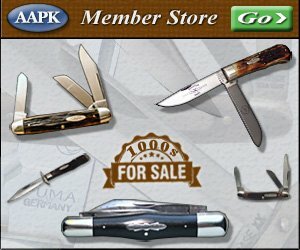 True custom knives that are 100% hand assembled and finished. The best natural and enhanced handle materials including bone, horn, pearl, stabilized woods and hardwoods. Classic and innovative designs finished with custom buffing and beveling all parts, radiuses engineered for superior comfort and performance. Each knife serialized with a certificate of manufacture showing year of completion along with a description of the handle and blade material used. Custom designed sheaths that truly fit the knife made of 100% genuine leather. A key to the Canal Street Cutlery Co. knife numbering system. Individual jewelers pouch or sleeve foil stamped with the Canal Street Cutlery Co. Logo. Gift box with a beautiful antique style label of the Canal Street Cutlery Co.